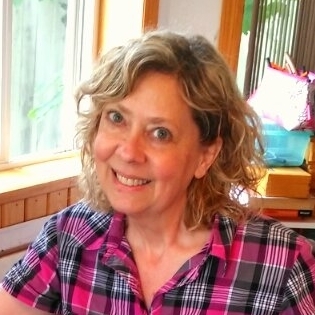 Cheri Haüg grew up in La Crosse, Wisconsin and graduated with a Bachelor of Science degree in Philosophy from the University of Wisconsin at Madison. She went on to get her law degree from the University of San Francisco School of Law and began her legal career. Feeling the need to pursue a more creative life, she studied drawing and color. Eventually, she moved back to the Midwest and pursued the study of the human figure and then turned her attention to portraits. She has studied oil portrait painting under world renowned portrait artist, Margaret Baumgaertner since 2010. Her favorite subjects are animals and people who happen to have super powers! She works primarily in acrylic or pastel. "The trend in art is towards impressionism and abstract. I'm a realist and my style is rather goofy. I'm calling it "real-goofy-ism." What with the superhero fixation? Click here! BTW, Cheri's last name is pronounced like "how" with a "G" at the end. It's a Norwegian word meaning "hill."